2015 has come and gone and there have been quite a few big moments in our hobby during the year. This has also been the first full year of Mengel Miniatures doing three posts a week, my first "real" year of being a fully functioning hobby site. With that in mind I took a look back at the top 15 posts from 2015! 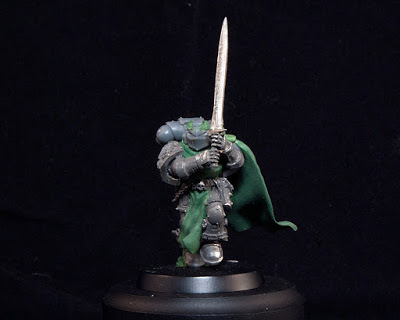 I'm really happy that the first post on this list is one of my Miniature Painting Masters posts. This series is my attempt at bringing painting into the forefront of an online hobby space largely dominated by gaming. 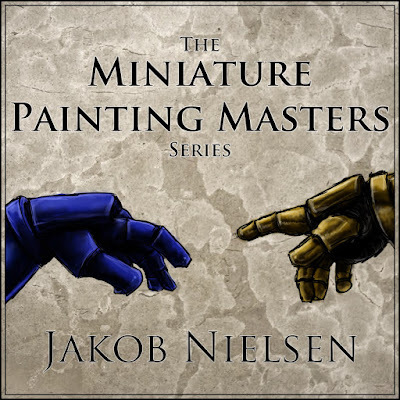 Jakob Nielsen is a staple in the GW painting scene, having held a position on the 'Eavy Metal team briefly. You will instantly recognize a lot of his models. They are iconic and have been reprinted in numerous GW publications. In this article I interview him to learn a it more about how he got started in the painting scene. 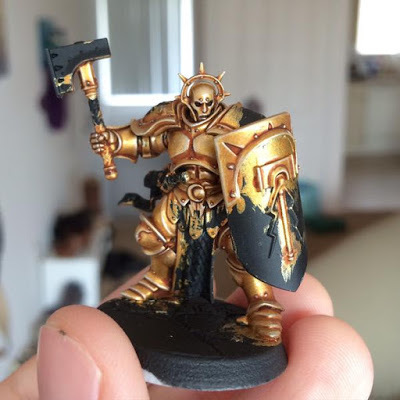 I'm glad my painting competition for the launch of AoS went over so well! 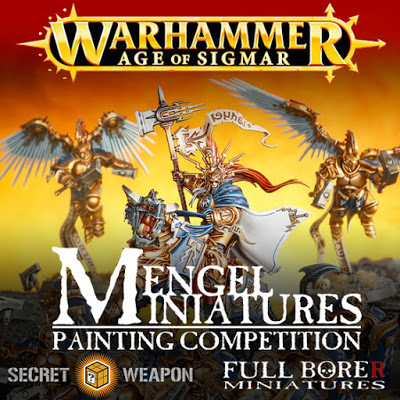 I like to pride Mengel Miniatures as a hobby centric site and so of course painting is a big part of it. There were a lot of great entries into the competition and it's almost that time of year, time for another painting competition. This model took a ton of time to plan, build, convert, and paint. In fact, I had started building it for the Golden Demon that year before I found out that the US Games Day was cancelled. After that I took a bit of a break on the model and picked it back up again for the Crystal Brush. In the end I didn't win anything or even make first cut, but it's still one of my favorite models, mostly for the conversions and sculpting work. The first part covers all of the work that went into it before the painting started, but don't worry, there are three more parts! It's always exciting to try out a new ruleset and I was rather lucky to get a game in pretty soon after AoS released. I met up with a friend and a few of his friends and we agreed on a wound limit to play. It was a four way game and it went pretty smoothly, even with summoning and all that. 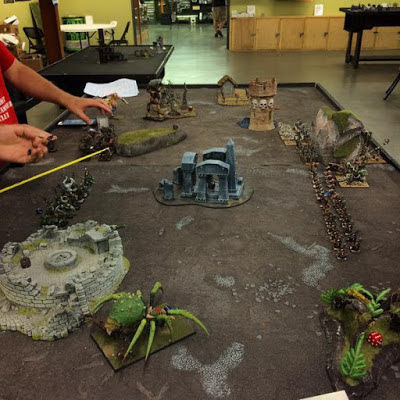 Even though my side lost I still had a ton of fun and AoS became my new favorite game to play. There was a ton of negativity going around at the time, so I'm glad I was able to provide people with an actual game play report that wasn't loaded with toxicity. 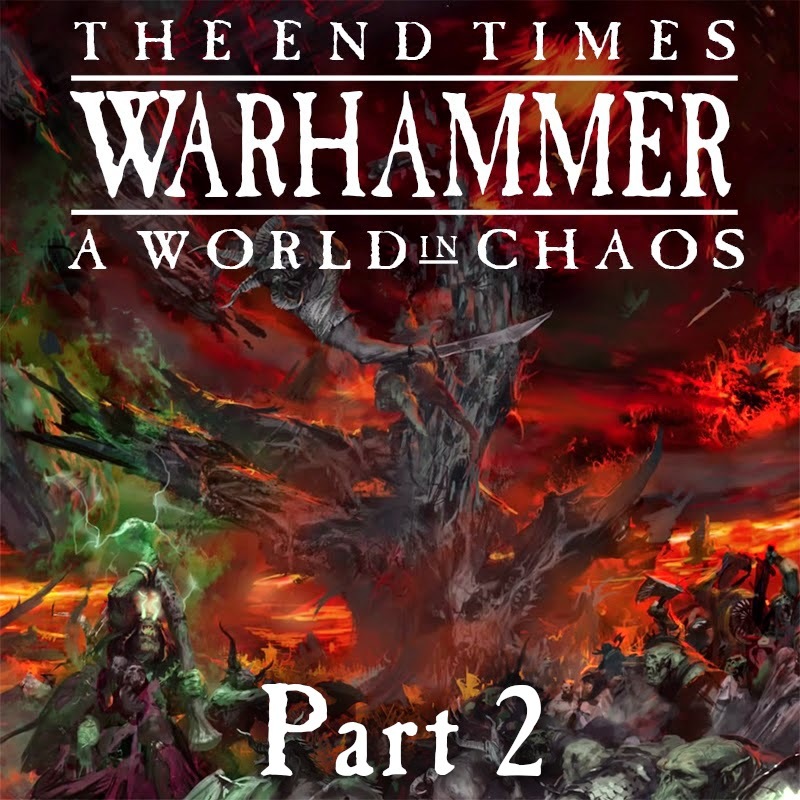 This was written between the Archaon book and the release of AoS. There were a ton of rumors flying, about half of which ended up being true, and a huge feeling of anger amongst the online community. I was getting a little fed up with seeing all of the doomsayers out there. While a lot of my predictions on what would happen ended up being not true I still stick with my attitude of how the situation would have been dealt with. In fact, I think a lot of this is repeated again in my more recent article The Death of a Community, The Birth of a Community. 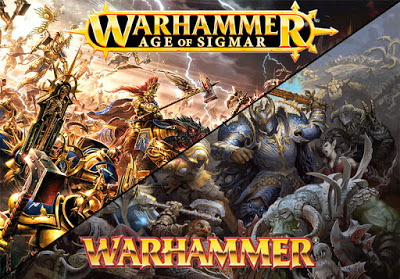 Even though I ended up being wrong on a few points of what the future held I'm still glad I maintained that positive attitude because it kept me hobbying into the Age of Sigmar. This was a commission I picked up from a friend and it turned out to be a lot of fun. I'm really happy with how this came out and I got to practice a few sculpting techniques. This was my first time sculpting a cloak, and it had a ton of motion in it too. I was pretty scared that it wasn't going to turn out well, but this has to be one of my favorite conversions. I really enjoy sculpting and I'm aiming to do more of it in the future. I am particularly proud with how well the motion was conveyed in the model. This was it, the penultimate book of the End Times saga. There had been spoilers all over the net about how this ends but the journey there was what it was all about. I personally really liked the story in this book, and who can forget the real star of the entire End Times story, Vlad von Carstein. His story was very tragic and human and I really hope that they leave him dead and don't bring him back for AoS, unless of course they can come up with a really good story for why he's back. This was the last hurrah of the Old World and man did it go out with style. 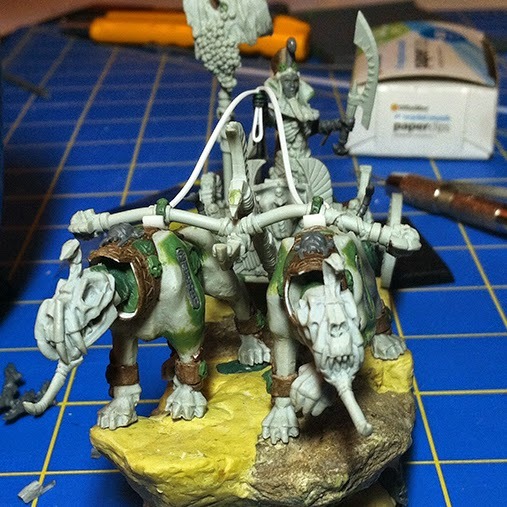 I came up with this tutorial while I was trying to figure out how to rebase my Tomb Herald. He had rocks on his base that he was stepping on and I didn't want to have to remake the rocks. After a little experimenting I discovered that if I just trimmed the sides off my square bases and glues it on top of the new rounds I could blend them in pretty well. This works best when you are putting a smaller base onto a larger one, like my Tomb Herald's 20mm square which went onto a 32mm round. This gives you the room you need to blend it down naturally. In this tutorial I also used this technique on my Tomb Guard which didn't look as good. Since then I have just switched to taking the models off the old base and putting them onto the new one if they aren't going onto a larger base. I still stick to this for my characters though and it's great if you have complex bases that you don't want to remake. It would work great for rebasing your 25mm Space Marines onto 32mm bases. This is a technique I use a lot on my Tomb Kings and is something I have gotten down to science at this point. After using it on several different models I decided that maybe this would be something that other people would like tips on. It works great for all undead models as well as Necrons, Ad-Mech, and a couple of other races out there. You could even swap out the green for whatever set of colors you want. 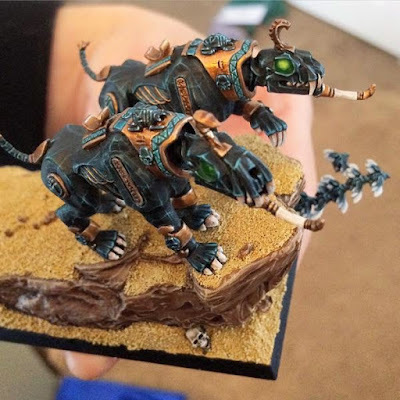 I made this tutorial while I was working on my Tomb King on Chariot conversion and I'm glad it went over so well with everyone. It's a fairly quick tutorial and is pretty easy to master. I was pleasantly surprised with how well this article went over. The toxicity on the net about AoS when it first came out, and which still persists to some extent today, was something that weighed heavily on me. Earlier on, around August or September, I actually wrote a whole article on it which was much more charged with frustration and anger. I decided this added nothing to the conversation though so I deleted the whole thing and instead wrote the article Positivity in the Age of Rage. With enough time and space after the rage I was able to approach the subject a little more objectively and I am pretty happy with how it came out. This was my attempt at summarizing everything that had happened in the first four books of the End Times series before Archaon's release. Instead of breaking it down by books I went through each race and summarized what had happened to them so far in the world changing events. I really loved the End Times and think it was some of GW's best writing and story ideas. It was a fantastic send off to the Old World and it was nice to see them finally follow through on one of their doomsday scenarios that they are always talking about. If you want a really concise review of what happend during these events minus the last book then I would give this a read. Only part two made the top 15 but I will link you to part one as well so you can get the whole story. I'm a little surprised this one is so high on the list. I have to say though, these two new paints from GW are some of their best quality paints they make and by far their best metallic paints. I guess there are a lot of people out there who wanted to know how good these new colors were. If you are curious about these paints before picking them up then give the review a read. 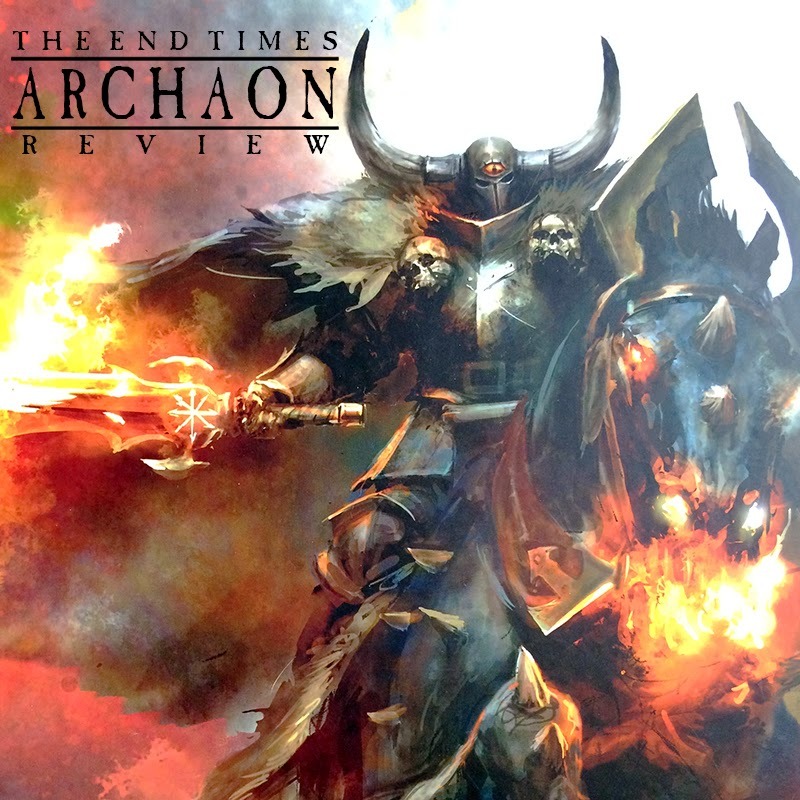 I think it's kind of interesting that Thanquol outranked the Archaon review on here. 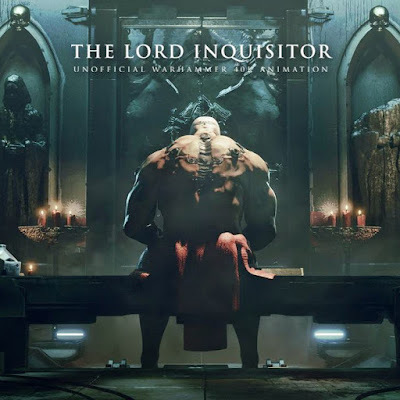 I feel like there was some burn out by the time Archaon rolled around, plus there were already a ton of spoilers out all over the net by the time I got my review out. 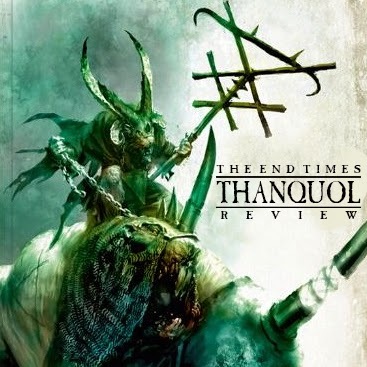 The End Times were fantastic all around though and Thanquol was no different. From the battle at Karak Eight Peaks to the mass devastation wreaked across Lustria. 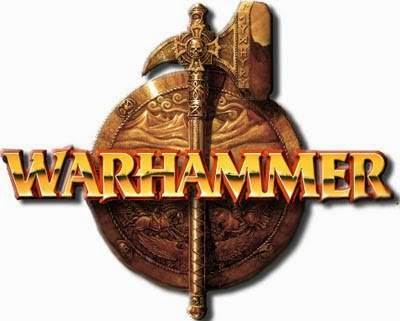 Want to relive the epic story that saw the Lizardmen make their transition to the Seraphon of Age of Sigmar? 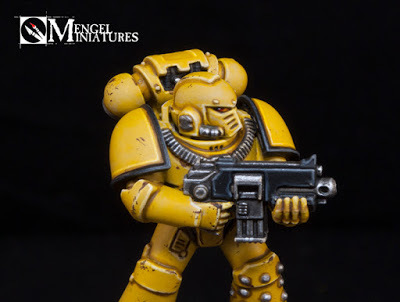 Number two on the list is my step by step painting tutorial for my Horus Heresy-Era Imperial Fist. This guy was a ton of fun to paint and it seems like it went over really well with everyone too. It's painted in a slightly unconventional manner but I really like how it turned out. It's a pretty fast way to paint one of the most difficult colors out there. If you haven't checked it out give it a read and test it out on a Marine. And the number one most viewed post from 2015 is my interview with Erasmus Brosdau about The Lord Inquisitor movie. I'm very grateful that I am part of the community team for this movie and get to see it progress. There are some very exciting things happening behind the scenes right now and I'm looking forward to sharing it with all of you in the future. Until then you can give this interview a re-read and watch the amazing trailers that have been released so far. 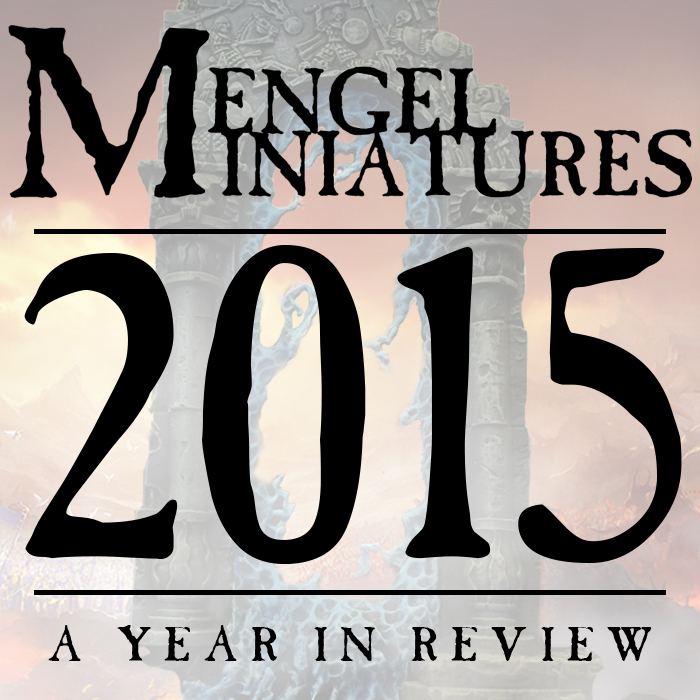 Well that's a wrap on 2015, here's to looking forward toward 2016 and all that it holds for Mengel Miniatures.